Mobile applications and its related technology started to develop as early as a few decades back and since then have predominantly have been evolving in terms of both design and functionality. Small and large businesses have come to realize the potential and need of the hour of having a mobile application to get the optimum results in marketing their products and/or services. Hence, deciding to develop a good mobile application for your business will pave the way to give great user experience and will cater several benefits to your business. Statistics suggest that for the year 2017, Android app downloads outnumbered the other OS with approximately 50 billion. A huge win in sheer numbers. This graph in no way seems to be going down with the growing popularity and so a very promising future for an android application development company. Nevertheless, the application development process requires having the thorough knowledge of Java, SDKs (Software Development Kits), APIs and IDE (Integrated Development Environment). 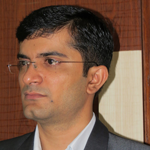 So far, the largest number of users of mobile application operate it via smartphones however, it also overlooks a fact that these mobile applications are limited to smartphones only. There are other several devices like tablets, smartwatches, etc. which are more than capable of operating seamlessly from these devices and can put to the best use of these applications. When it comes to app development expenditure, there are so many myths floating around that these business owners tend to make mistake and believe any such notion that the development cost is going through the roof. But then again, there is a dire need to break this myth as android application development requires a fixed budget. Moreover, it is also depended upon the build, design, user interface and any such specifics of the project requirements. Needless to say, that most of the people believe that developing a mobile application is a quick and easy process. Let us clear that notion for you. An app development process has to go through a design and build cycle wherein code, user interface, quality testing, bugs resolving, marketing strategy, etc. So, it must have been clear now that the app development process is rather a tedious one. With so many steps involved, it is not fair to think that the development process can be quickly accomplished. Of course, if the requirement is simple then it can be made faster as compare to the one with a complex set of requirements but still, on an average, it may take from few to several weeks. Well, your job doesn’t end after developing the app and putting it on the app store. You’ll need a lot to work up the channels to promote your products and services via marketing. Once you a have an app that is really great and go-to-market even so you’ll have to focus on the number of downloads which includes organic and inorganic downloads. This will give you a clear picture of your target audience, customers, and their demographics and on which channels you should be spending more money and time. Android app development has revolutionized the mobile app market and with massive popularity recently it has also changed a lot in a way developers create an application. 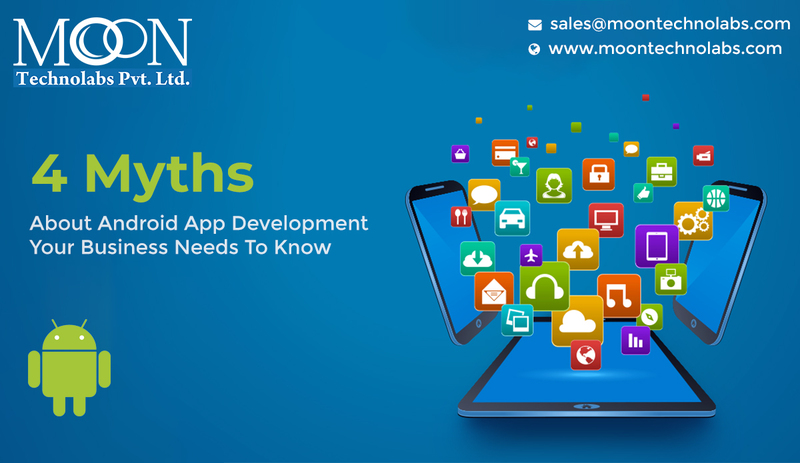 There are so many myths surrounding Android app development but we would recommend to research well before and plan accordingly your business strategy.